It's truly an honor to be nominated along with the other dynamic women for this award. I am grateful for the support I have received in the community. (1888PressRelease) May 04, 2010 - Julie Spira, author of "The Perils of Cyber-Dating: Confessions of a Hopeful Romantic Looking for Love Online" and a well-known talk show host and dating advice columnist, is one of the women recognized for her contributions to the Los Angeles Community by readers of the Los Angeles Business Journal. The Women Making a Difference Awards honors L.A.'s most successful business leaders. Spira is an entrepreneur and the founder of Cyber-Dating Expert® and Social Media and More. She was the featured Newsmaker of the Week in the Los Angeles Business Journal on December 14, 2009. The luncheon and awards ceremony will recognize women making a difference in the Los Angeles community on May 25, 2010 at the Millenium Biltmore Hotel, 506 South Grand Street, Los Angeles, CA. 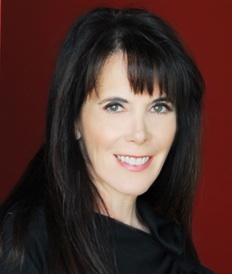 Spira is a member of the Board of Directors at the Costume Council of LACMA as well as a member of the Board of Trustees for Jewish Big Brothers, Big Sisters of Los Angeles, where she will be the recipient of the WOW Award on October 7, 2010 at the Beverly Hills Hotel. She has appeared on ABC News, CBS News, FOX News, the New York Times, Los Angeles, Times, CNET, Smart Money, Woman's Day, Cosmo Radio, KTLA, and WPIX, for her expertise in online dating and social media. Her dating advice appears on eHarmony Advice, JDate, Your Tango, Huffington Post, Zoosk, and she is the LA Dating Advice columnist on Examiner.com. Spira will also be appearing at Book Expo America in New York on May 26, 2010. For more information, visit cyberdatingexpert.com.